In my efforts to see bands that I should have seen years ago, this was one that I’ve been wanting to see for many years – since I first heard them in 1983 with the album “Power, Corruption & Lies”. 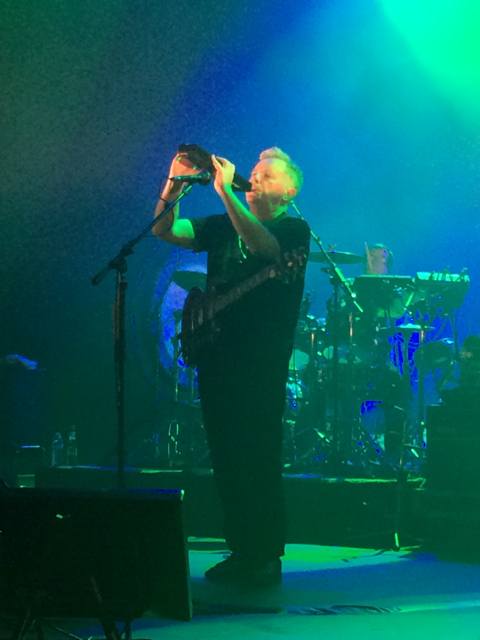 By 1985, the album “Low-Life” was released and New Order was not only a popular alternative band, but was getting tons of airplay with the song “The Pefect Kiss” “Blue Monday” was a non-album song that was also getting heavy airplay. I became a long time fan and wanted to see them live many times over the years. I never got into Joy Division, the band that New Order evolved from. Not that I didn’t like their music, but just wasted familiar with their songs, with the exception of “Love Will Tear Us Apart”. Their short lived career was a heavy influence for many, but it was New Order that really made a serious amount of music over the years. I don’t travel to shows that often, but this one was a must. My friend Jonny is a big fan and has seen them live a few times. He was going to be in Seattle for this show, so I made the trip happen. Friends Lindsey and Ingrid also were there, so it was awesome to share in my first New Order show with them. 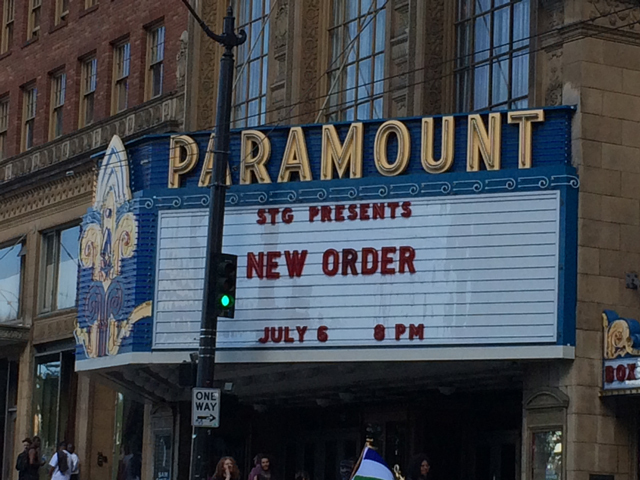 This was also my first show at The Paramount. A grand theater and has years of history. The sound and acoustics were most excellent and even standing at the front of the stage for the entire show, the sound wasn’t muddled or dulled. The band played just a few mins under 2 hours. As you can see from the set list above, they played a good number of songs, including the 3 Joy Division songs in the shows encore. “The Perfect Kiss” was very good live. 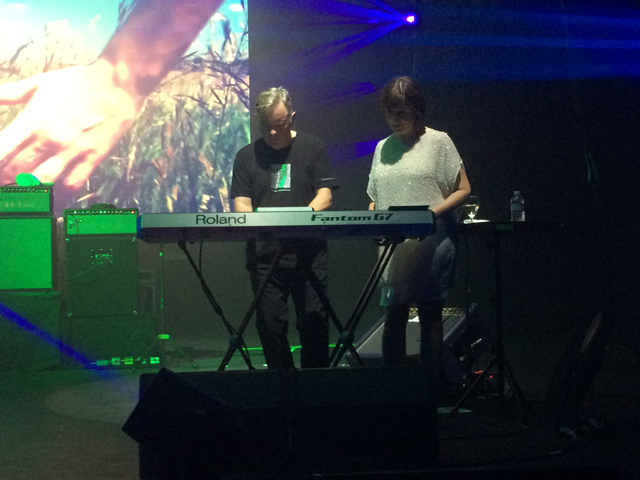 Gillian on keyboards was great, even if she didn’t move much behind the Roland. Bernard was all over the stage as the lead singer and front man for the band. He played guitar, keyboards, synth and an melodica – a mouth-driven electronic keyboard. His vocal range was still pretty good, even though he’s approaching 60 years old. Since I’ve never seen Peter Hook in concert, I didn’t have a chance to compare his bass to Tom Chapman’s bass lines. Tom’s been with the band for several years now, but worked as a guitar tech for the band for many years before. His bass lines were perfect on just about every song. New songs were performed. “Singularity” and “Plastic” sounded great and the band is obviously synced together on these new songs. I wanted to hear “Love Vigilantes” and “1963” and even “Touched By The Hand of God” would have been cool to hear as well. Or maybe even “Shellshock” could have the packed Paramount Theater crowd of fans cheer loudly for familiar songs. Not this time. No complaints from the songs that were performed, that’s for sure. 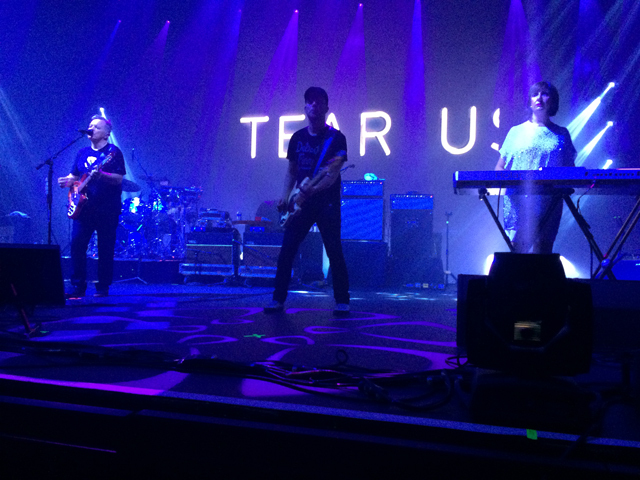 So happy to have now seen New Order live and hope they continue to make new music. And one day again, I’ll see them live. I clicked through in the hopes you would say it was a terrible show, everything was awful, and I didn’t miss anything. =sob!= Hopefully they will tour again one day! Yes, I’m sure they will tour again here soon. Wow. Lucky! One of my favorite bands from my youth. Like you never seen them for whatever reason. While I can’t say that I’ve been that into their last few albums, their 80s work is just phenomenal. I’ve been keeping tabs on Peter Hook & The Light playing early Joy Division and New Order albums in their entirety as well. If either band came to my neck of the woods, I’m so there. Curious, what other bands have you loved since you were younger that you haven’t had a chance to go see? Yes, their 80’s albums have always been a favorite of mine. After the show let out, they were handing out leaflets for The Light with Peter Hook, who was playing a Seattle date soon after this New Order show. As for other bands, X is one on my list that I really want to see but haven’t yet. I’ve had a couple of opportunities, including actually having a ticket to see them, but circumstances didn’t allow it.